Most people do not like the taste of lemons because it is bitter or sour, apart from squeezing a little over seafood, half a slice in a glass of soda in restaurants and the odd recipe that requires a few teaspoons of lemon juice, there do not seem to be any other uses for the fruit. The article on True Activist proves this theory wrong with a total of 45 different uses for lemons. Lemons are a citrus fruit, which naturally have a high acid content, and although the taste of a lemon does take some getting used to, the smell of fresh lemon is globally recognized as refreshing. Odors in the Fridge – Remove the bad smells in your fridge by dabbing a sponge or cotton ball with lemon juice and leave it in the fridge for 24 hours. Make sure you find the source of the bad smell and toss it out. 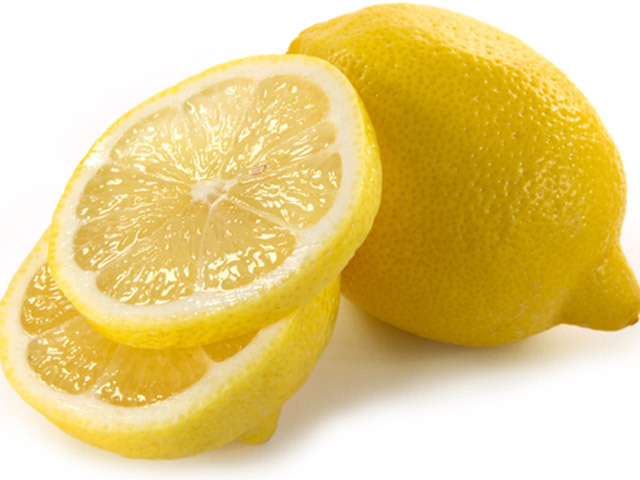 Cutting Boards – Cut a lemon in half and rub the cutting board all over to get rid of the funky smell. Insects gone – Instead of spending lots of money on different insect repellents, squeeze lemon juice into a squirt bottle and squirt all over the door thresholds and windowsills, then squeeze the juice into any holes or cracks where insects can get in and finally cut the peel into small slices and scatter the slices around the outdoor entrance. Good smelling Garbage – Take the peels of lemons and put them into the garbage bin underneath the bag, to keep the smell fresh change the peels every two weeks. Blood Pressure – Lemon reduces nausea and dizziness and controls high blood pressure, a couple of teaspoons in your water or any other beverage will help. Breathe Easily – A human being is supposed to drink between 6 and 8 glasses of water a day, making this lemon water by adding a couple of slices of lemon or a table spoon of lemon juice gives you a more refreshing drink but also assists with reducing phlegm and is known to help people who suffer with asthma breath easily. Kill Infections – Whether your throat is sore and you gargle with lemon water or you squirt pure lemon juice onto cuts or scratches, the antibacterial properties in lemons make them the best alternative to western medication. Smooth Elbows – Mix lemon juice and baking soda into a paste and rub it onto your elbow, then rinse with a mixture of equal parts lemon juice and water and finally massage the elbow with olive oil and dab dry with a soft cloth. Keep Cauliflower White – Squeeze a teaspoon of fresh lemon juice over the cauliflower before heating to make the cauliflower stay white. Guacamole and fruit salad – To keep guacamole that has been prepared for a function green and the apples in a fruit salad white sprinkle with lemon juice. Rejuvenate Lettuce – Soggy lettuce leaves are given a new lease on life and made deliciously crisp by adding the juice of half a lemon to a bowl of cold water, placing the soggy lettuce into the bowl and putting it into the fridge for 1 hour. Dry the leaves completely and they as good as freshly picked. Berry Stains – After picking berries your skin is stained with the juice, to remove the stains wash your hands in undiluted lemon juice, and wait for 5 minutes then wash again with warm soapy water. Repeat the process until all the stains are gone. Now that you have so many useful ways to use lemons, ensure that you keep a few fresh lemons in your kitchen at all times.